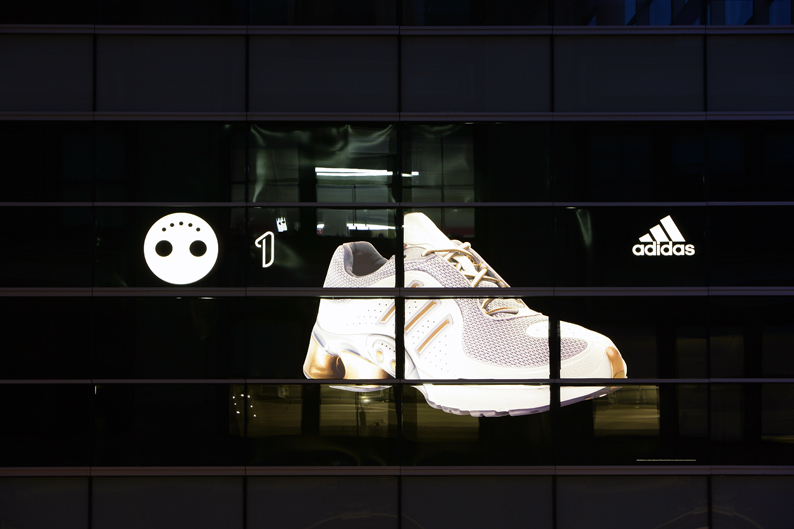 The offices and ground floor retail space for Adidas’ New York City flagship is housed in a six floor building in the city’s SoHo neighborhood. 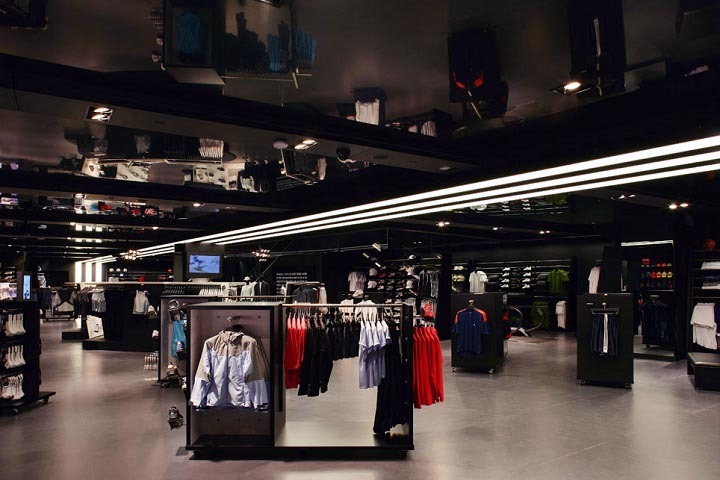 In collaboration with the Adidas in-house design team, KPA developed the “Sports Performance” concept to showcase the full range of Adidas’ offerings. 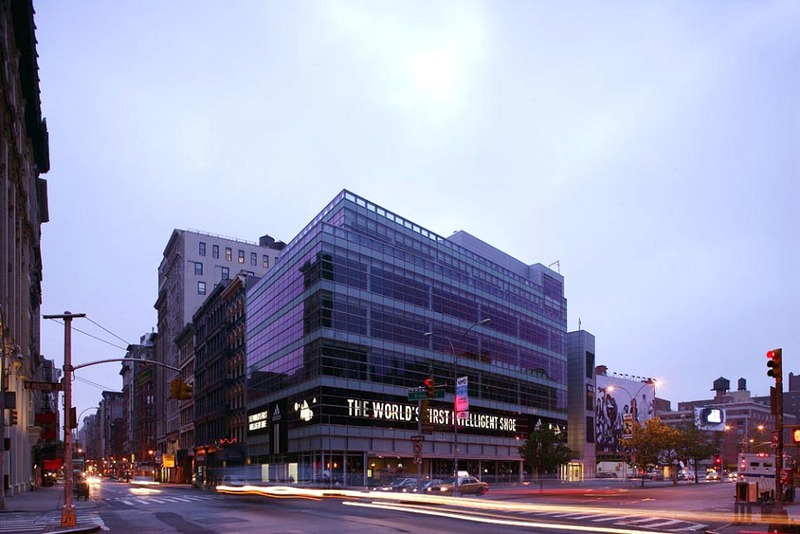 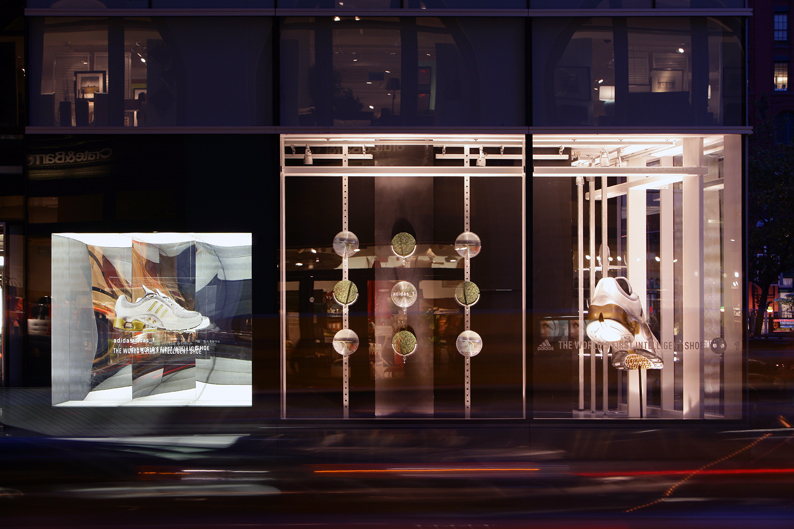 A darkened glass curtain wall sheaths the outer facade while on the inside, mirrored black and white interiors reflect the merchandise. 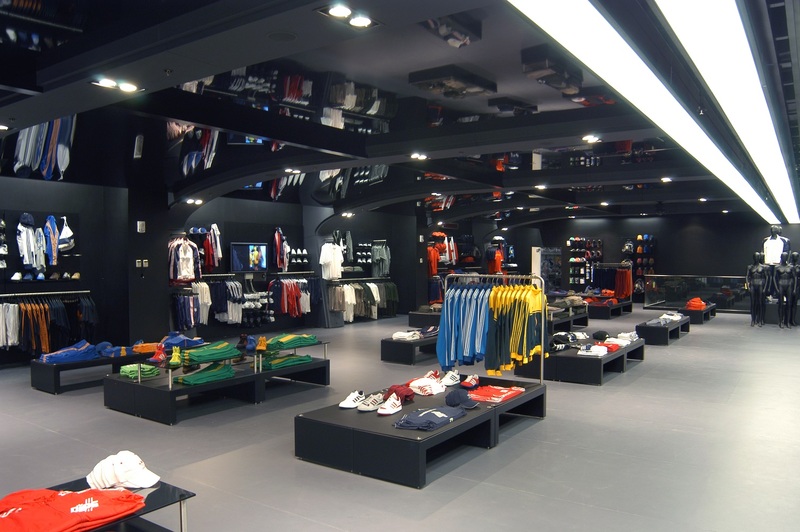 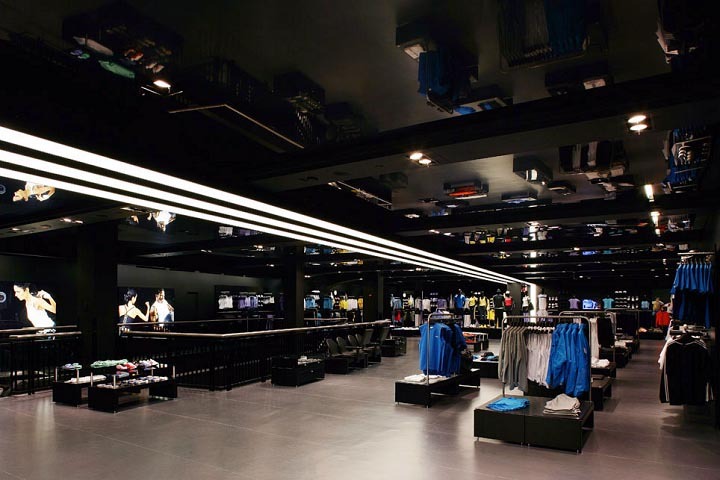 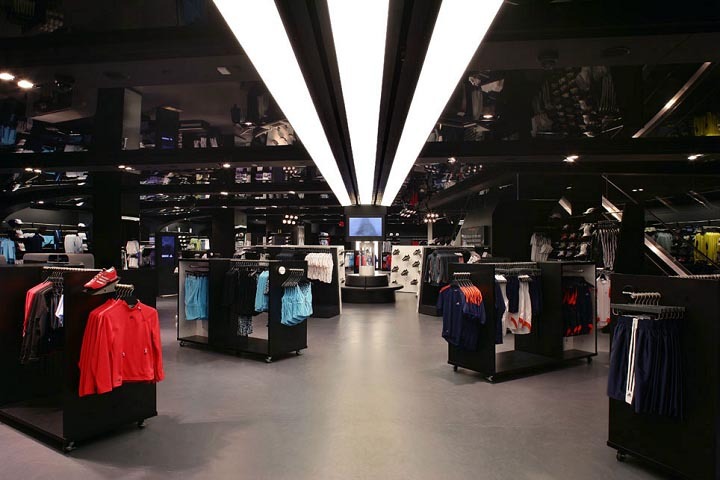 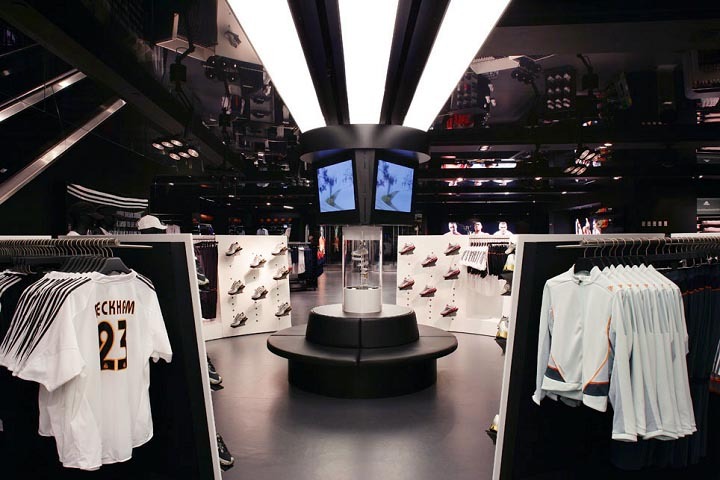 The brand’s iconic three stripes run throughout the store, creating a dynamic visual identity for the interior space. 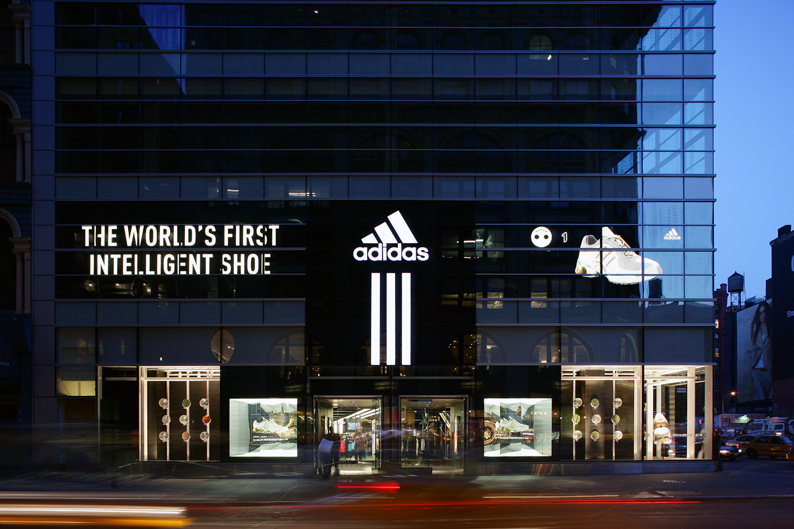 In collaboration with the Adidas’ in-house team, KPA has designed and constructed over 200 stores throughout the United States, Canada and Mexico.